Vampire Weekend recently played BBC Radio 1’s Live Lounge and covered Robin Thicke’s hit song, “Blurred Lines.” Listen to it below. Vampire Weekend play the Skyline Stage at the Mann Center on Thursday, September 19. Go here for tickets. The Glastonbury Festival just wrapped up this year’s five day festival. Below, watch videos from some of the bands playing shows in Philly this summer. Palma Violets play Friday, September 27 at Johnny Brenda’s. The first six months of 2013 are almost a wrap and the amount of great new music that’s piped its way into our collective earbuds is staggering. Before another wave of releases hits us, we here at The Key decided to pause and take the temperature of the year in music so far. What albums are bringing everyone together? What albums have some folks uniquely excited? An informal poll of the WXPN on-air staff showed a lot of consensus around Vampire Weekend‘s excellent third outing, Modern Vampires of the City. It appeared on all but two of the lists, and ranked number one with World Cafe‘s David Dye and evening / weekend host Eric Schuman. Also appearing on several lists is the lush and orchestrated Ghost on Ghost, the latest from Iron and Wine. For his fifth album, singer and songwriter Sam Beam broadened his palette to incorporated jazzy textures and ambitious arrangements. When he performed at Union Transfer in support of it this May, Beam’s band numbered 13 musicians, all dressed to the nines. Earlier that same day, Beam played a solo acoustic set at World Cafe Live, and that was the performance that caught the ear of XPN Morning Show host Michaela Majoun. 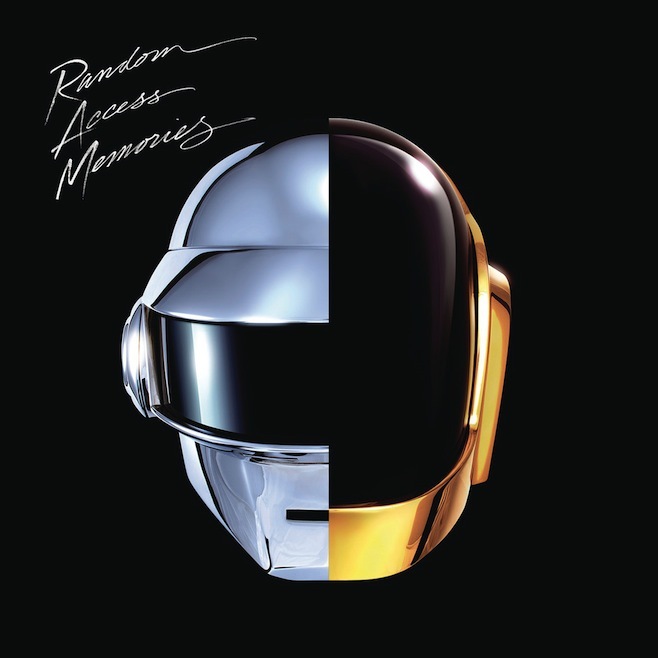 The funky disco rhythms, smooth downbeat jams and ambitious movie soundtrack set-pieces that make up Daft Punk‘s Random Access Memories also performed well among XPN’s hosts. Dye, Schuman and XPN Program Director Bruce Warren all ranked the album on their lists. Schuman says that his favorite thing about the album is its attitude. Below, watch videos from each of these top performing records and dig a little deeper by reading each host’s personal top five. Do you agree with our picks? Did we miss anything? What are you looking forward to hearing in the second half of 2013? Let us know in the comments. The Firefly Music Festival wrapped up its second year in a giant field off of the Dover International Speedway with some rain, considerably more mud, an army of inflatables and a lot of fun. Haim‘s poppy, percussion heavy set greeted us as we entered the grounds, followed by LA singer LP early on – she had a bright blue suit, a ukelele, a voice reminiscent of Chrissie Hynde, a stylish 90s alt-pop sound and a great command of the crowd; when the skies opened up for the first time in the afternoon in the middle of her set, folks kept dancing. The second rainstorm happened a little later during Matt and Kim‘s set, but their insanely catchy songs and practically mandatory crowd participation won out over the storm clouds just as handily (check out a video of a balloon / beach ball release here). That said, holy cow those are two ridiculously perky people, and not necessarily in the best way. Thankfully Kishi Bashi was a nice comedown – the versatile indie violinist (Of Montreal, etc) and sound loop artist created a portable chamber orchestra show on the festival’s backyard stage. He worked through his 151a album and shouted out the fan in the crowd waving a Ron Swanson flag apropos of nothing. Next, California band Trails and Ways played an impressive set of wandering, worldly pop-rock on the festival’s (unfortunately) under-promoted Coffeehouse Stage. Through the woods and across a field, Toro y Moi delighted their crowd with a set of synth-groove disco as the clouds broke and the sun beamed in. Passion Pit frontman Michael Angelakos bounded on the mainstage with tremendous energy, determined to atone for the band’s cancellation at Firefly 2012 (when, he explained, “I was in the hospital, it was fucked up, I didn’t think I’d ever play a show again”). He grumbled a bit about allergies, then went on to tear across the set, sounding great but maybe overdoing it a bit since his voice blew out near the end. He explained this, and said “I’m really going to need you to sing along on these last few.” Though it initially seemed like gimmick to drum up singalongs, by the ending notes of “Little Secrets,” you could hear his falsetto straining and wheezing. But Angelakos kept pushing it further – poor dude. Vampire Weekend have made increasingly imaginative music videos during their career and the quirky creativity continues with the new one for “Diane Young.” The song comes from the band’s latest Modern Vampires of the City LP and gets the visual treatment with help from a table-full of indie favorites. Riffing on “The Last Supper,” the New York City indie pop / afrobeat outfit is flanked by the likes of Sky Ferreira, Dirty Projectors’ Dave Longstreth, Santigold, The Walkmen’s Hamilton Leithauser and more. Despite the dream guest list, the dinner disintegrates into a food fight / nightmare before the band is left at the table alone with a mysteriously masked man. Vampire Weekend plays the Firefly Music Festival in Dover, DE, happening June 21-23. Three-day passes are sold out but single-day tickets are still available here. Watch the video for “Diane Young” below. Vampire Weekend release their new album, Modern Vampires Of The City tomorrow and is this week’s new Featured Album of The Week on WXPN. VW play Firefly Music Festival in Dover, Delaware on June 21-23. Below, watch them perform “Diane Young,” and “Unbelievers” from Saturday Night Live. As The Swollen Fox shared earlier this morning, Vampire Weekend have shared a lyric video for another new song off of their upcoming Modern Vampires of the City LP. In the video, the lyrics of “Ya Hey” appear over scenes of seemingly ritualistic champagne-popping. Vampire Weekend will release the new album on May 14th, followed by an appearance at the Firefly Festival in Delaware on June 21-23. Tickets and information can be found here. Watch the video for “Ya Hey” below. Appearing in support of their respective new albums, Vampire Weekend (pictured) and Yeah Yeah Yeahs performed on Later… with Jools Holland recently. Vampire Weekend highlighted their new Modern Vampires of the City LP with “Diane Young” and “Unbelievers,” while Yeah Yeah Yeahs sang the lead single from Mosquito called “Sacrilege.” Both bands will be at Firefly Festival this summer, happening in Dover, DE on June 21-23. Tickets and information can be found here.